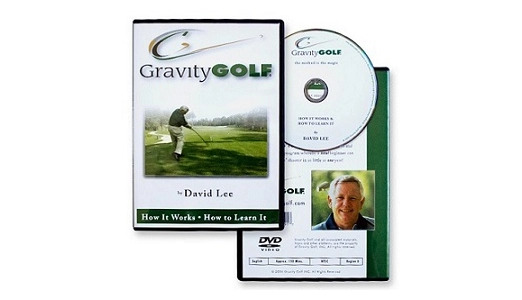 The most recent Gravity Golf DVD documentary series was produced and developed by David Lee. The first half, How It Works, details an explanation of the “counter-fall,” the mechanism that allows any golfer to swing effortlessly, like Freddie Couples. The second half, How to Learn It, illustrates a number of the unique golf training drills that David Lee has created to quickly increase a player’s sensitivity for applying power correctly in the golf swing. 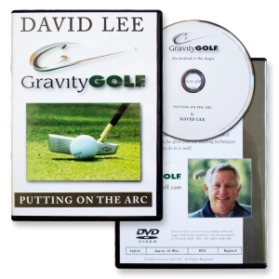 This golf instruction DVD is for players of all skill levels. It will teach you how to move the golf ball farther by using more of your body mass, with far less muscle and tension in your golf swing. If you study and practice the golf drills taught in this comprehensive offering, they will give you a technically perfect golf swing that will serve you faithfully for a lifetime. When you move at the highest possible level of efficiency, the effort and strain on your muscles and joints are brought to a minimum. Watch this unparalleled golf lesson DVD until you totally understand it. Your golf swing will be glad you did! You can now DOWNLOAD this Gravity Golf DVD and watch it on your mobile, laptop or desktop. The golf DVD file is 3.1 GB so it will take a few minutes to download. If you have difficulty with the download, please contact us. If you wish to leave us a review or testimonial after you’ve watched the DVD and tried some of the drills, we welcome your feedback. If you’re wanting to take your game to the next level, consider enrolling in one of our comprehensive golf schools.